We cover a wide area of Kent and Sussex including, Tunbridge Wells, Rusthall, Tonbridge, Hadlow, West Malling, Kings Hill, Hildenborough, Penshurst, Sevenoaks, Westerham, Edenbridge, East Grinstead, Groombridge, Crowborough, Rotherfield, Wadhurst, Ticehurst, Hawkhurst, Lamberhurst, Goudhurst, Cranbrook, Robertsbridge, Paddock Wood, East Peckham, Uckfield, Matfield and Heathfield. Our coverage areas also extend beyond this, so if you’re area isn’t mentioned above please feel free to contact us to be sure. Emergency lock problems are usually lock-outs. This might be in the home or at a business premises, where a door has shut, leaving the key on the inside. This can also happen when there is a broken lock and the door cannot be locked or opened. Sometimes the keys may have been lost or stolen, or the property owner may have been an unfortunate victim of a burglary. You may require the Clubb Security emergency locksmith to visit your property if you have a door lock failure inside your property. In our experience, it’s surprising how many times we have been called-out to people locked in their bathrooms. We have a dedicated lock opening service for all grades of safes. The opening code may have been lost or the lock broken. Clubb Security Locksmiths have been providing Tunbridge Wells Locksmith services to homes and businesses since 1995 and covers all emergency lock problems. A trustworthy member of the Master Locksmiths Association and a locksmith approved by Kent Police. The main emergency lock problem is when a lock out occurs. This can be either at a home or business premises when a door has shut and the key has been left inside or there is a broken lock and the door cannot be either locked or opened. Also the key may have been lost or stolen or the owner of a property may have been the victim of a burglary. Door lock failure inside a property would need an emergency locksmith in Tunbridge Wells, it is surprising how many people get locked in their bathrooms. A Tunbridge Wells lock opening service is also available for all grades of safes. The opening code may have been lost or the lock broken. See our coverage areas above to see if we cater your location. At Clubb Security our lock and safe engineers are fully trained and vetted with many years of experience in the Locksmith industry. The company is a fully inspected member of the Master Locksmiths Association and are experts in all types of door locks for all different types of door construction, wooden doors, aluminium doors, UPVC doors and composite doors. We can open all lock types, from a basic lock to BS 3621, BS 8621, PAS 24, TS 007 and more, including safes and the locks associated with these. Our Locksmith Tunbridge Wells vehicles are fully equipped with tools and materials to deal with all emergency lock problems, we will always leave the property secure. Work is carried out to cause a minimum amount of damage to the lock and if possible the lock will always be repaired, making the cost of the job as competitive as possible for our customers. If you are within our coverage areas above, contact us for a FREE QUOTE. You will speak to a knowledgeable member of the team NOT a call centre. 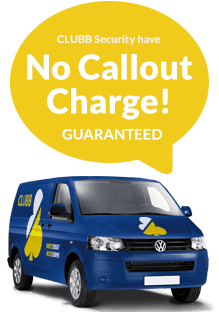 NO CALL OUT CHARGE , our labour charge is an amount agreed at the time you call. Need a Locksmith Urgently within our Coverage Areas? Call for a FREE QUOTE on 01892 530 587 or e-mail our emergency locksmith. 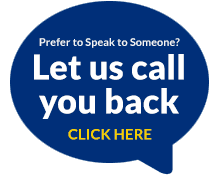 You will speak to a knowledgeable member of our team NOT a call centre.